A week ago Friday we were at the final moment of truth. Our eight finalists had just delivered their final pitch, summarising a week of work into five minutes. Everybody was hoping they had done enough to convince the mighty Jury to pick them as a winner of a 30 000€ collaboration project for with K Group. 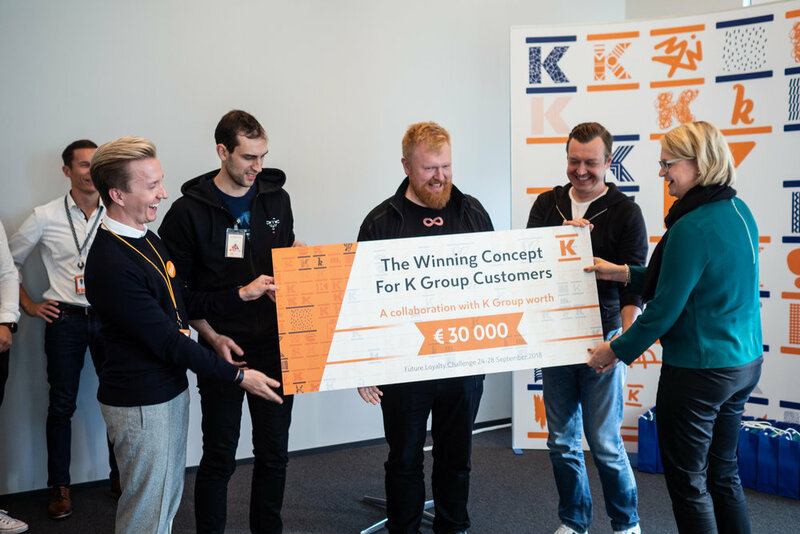 The odds were good for each - after all, they had just spent a week with many K Group people asking a million questions and getting valuable feedback on what might bring most value to K Group and their customers. We all knew each of the eight concepts were rock solid both in business value and customer insight. Finally, the Jury returned from their hour long debate announcing that 8-bit-sheep had convinced the Jury and with their My Data concept and demo that had been validated over the week with many. Also Smart Spotter, Touché and Mishipay were mentioned as runner-ups that are interesting for K Group. Aku from ResQ delivering a 10+ pitch, which was followed by major applause from the audience! The Jury in the midst of discussions. Who should win? From our point-of-view, the challenge week was a complete success (read on to find out what were the success factors!). It is always a bit of a nerve-wracking situation to walk into the first day of the challenge, meeting all the teams and learning if our vision of possible collaboration was founded. And then to watch as the collaboration proposals get better and better by the day..always a thrill! 8-bit-sheep (FIN) is a Digital and Data Strategy Boutique that helps with problems regarding the digital in general and data in particular. Touché (SPG) is a universal mobile payment acceptance terminal which allows customers to pay wherever they are with traditional payment methods and also with their fingers, incorporating loyalty into the experience and giving the merchant customer buying behaviour analytics. 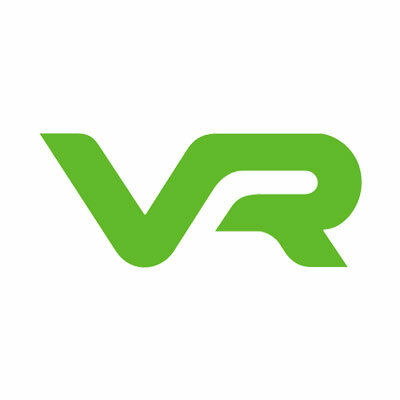 Miils & Meallogger (FIN) joined forces to create a concept of AI-supoorted customer-tailored meals and shopping bags, supporting the customer in dietary needs and goals. Mishipay (UK) allows anyone in the store to pick up an item, scan the barcode on their phone, pay on the phone and just walk out of the door with it. Fjuul Vision (FIN/CHE) is much more than a fitness tracker - Fjuul helps you turn activity into currency, using smart algorithms that not only prevent misuse but also encourage you to increase the smallest daily activities to keep you healthy. Smart Spotter (NL) is the platform that enables retailers and suppliers to meet their agreements through crowdsourcing. “Spotters” photographs and reports items on display for a small fee by the supplier. ResQ Club (FIN) is a platform for restaurants and grocery stores to sell their surplus food, making saving the world taste good! We will for sure keep an eye on all of the teams who joined our challenge! We predict great things for each of them. Key success factors to a great Innovation Challenge: Collaborate and commit. 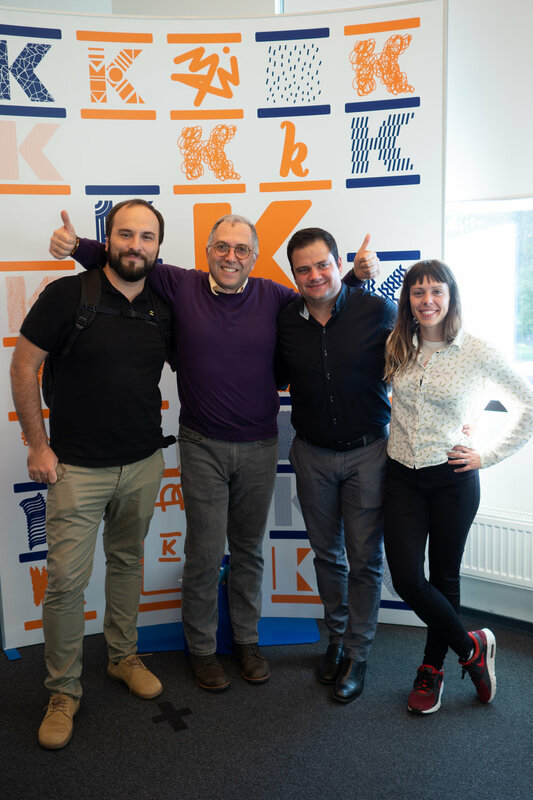 The week was very successful thanks to extremely talented teams but also a very good customer: The people over at K Group showed remarkable commitment and support throughout the week. Not only was the whole week well organised, we were a bit stunned by the “at your service” attitude we saw from all K-people joining us during the week. Each and every one working with the teams shared insight, researched for more necessary info and ran to help the minute someone needed a hand. Fjuul & mentors hard at work. Make sure you have a solid vision of why you are seeking for partners - what are your goals? What you give is what you get: The more you put effort as the customer, the more you get from the teams. This was clearly the case with K Group, too. Our warmest thanks to all teams and the people we met, we applaud the motivation, commitment and raw talent you brought to the table regardless of the company name on your name tag. Kiitos. The Jury by K Group & friends (from left): Piia Maaranen (Avanto), Antti Rajala, Tuomas Sointu, Tuomas Manninen (OP), Miia Ropponen, Anni Ronkainen, JP Suonikko. Older PostWhat to learn from BMW Startup Garage?